Most of us try our best to avoid driving during rush hour, but sometimes, it can be difficult to sidestep this particular time of day. Rush hour is a costly way to travel, since stopping and starting in traffic burns fuel at a much faster rate. Every time the car stops and starts again, the car needs to use first gear, which is bad for our fuel conservation. If you must travel during rush hour, keep acceleration and braking to a minimum. Strive to travel at a steady rate of speed. A ski or roof rack is quite a convenient invention, and can help you during many trips. It's handy to have one, especially with the attractive prices on those items offered now by Overstock with the use of Discountrue coupons. However, if you're under impression that leaving your rack on the car later will not cause any issues, you would be wrong. An empty roof rack increases the vehicle's drag, which causes you to burn gas faster. Taking the time to stow away roof and ski racks when you are not using them goes a long way towards decreasing your gasoline costs. Keeping a bunch of inessential items in the trunk of your car is much like carrying unnecessary weight on your body. It is not needed and will only serve to cause problems. Thoroughly inspect your car and remove all of the heavy items that are causing gasoline to burn more quickly, such as golf clubs or skis. If you have a lead foot, this might be the culprit for your excessive gasoline consumption. While driving your car more quickly might increase the rate of speed, it also increases the amount of fuel you are burning. The time that is saved on your journey is canceled out by the usage of extra fuel, so watch out for that! 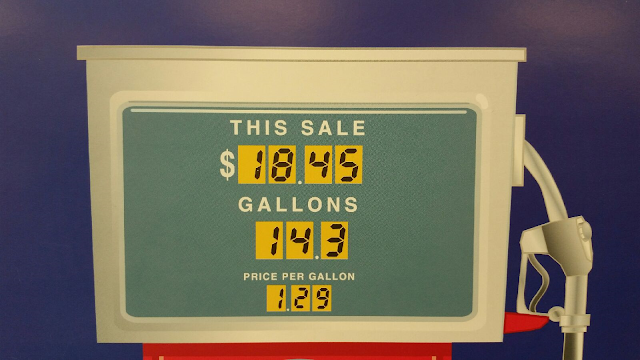 I've been thrilled to see gas prices dropping over the past few weeks! Finally below $2 a gallon!